I have modded AlarmDroid to fit a lot better with MIUI, as it is a rather ugly app but as far as functionality goes it's the best Alarm App out there. Notification icons have been edited as well as small enhancements to the UI but nothing major, imo the notification icons were the most important as they're constantly there. just BEAUTIFUL! Mind if i copy it in a rom mod of mine? that looks nice, def gonna try it out when I finish emptying, reformatting then refilling my SD card. is it a standalone app or part of the clock widget you have? 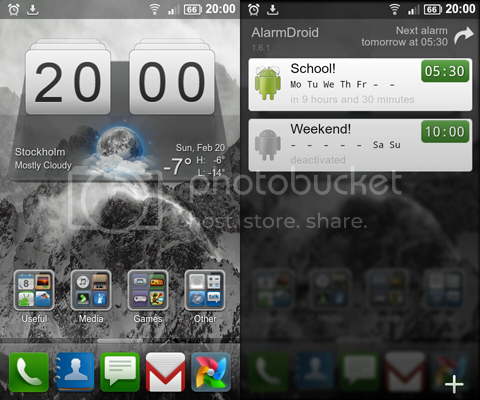 It's a standalone app, the clock widget is fancy widget with my miui skin applied. 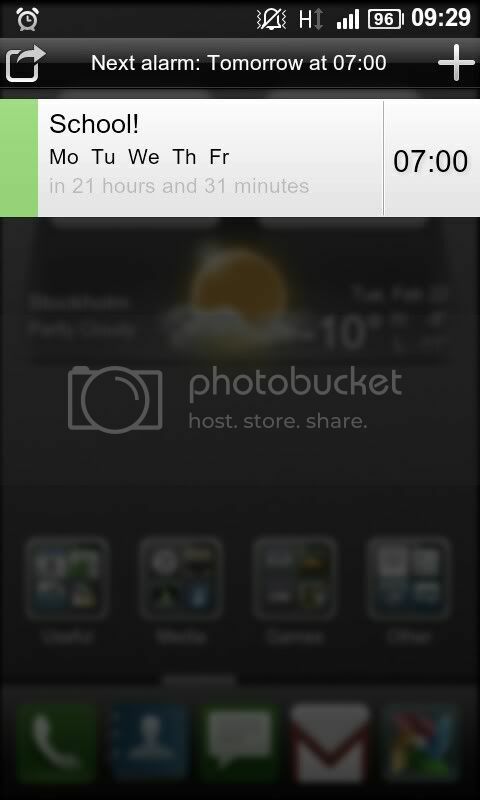 Here's an update on how alarm droid looks now with the latest version, I'll upload it later today. really great !!! waiting for the update ! Haven't been sleeping at home these last few days that's why I haven't uploaded it yet. I will however most likely sleep at home today so I'll upload it when I get home from work (approx. 22:00 GMT+1). excellent !! is it made of the last version of the pro alarmdroid?